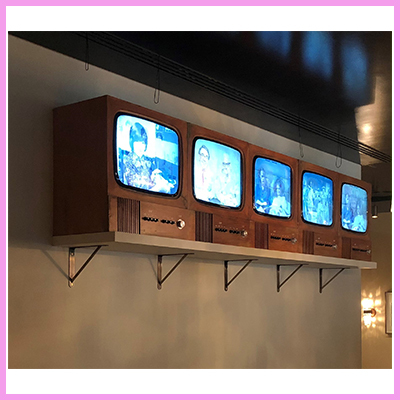 In the congested fast food market, restaurants are looking for new, exciting and cost effective ways to showcase their products; Digital Signage menu boards seem to be the answer. Firstly the benefit of motion can be taken advantage of, enticing customers and ensuring that their attention is not only captured but retained. 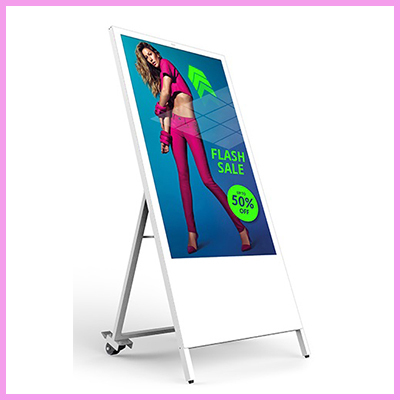 Digital Signage menu boards attract 10 times more customer attention than traditional static menu boards. Even when no videos are used, having multiple images in a slide show makes for a much more efficient use of space when compared to backlit menu boards. As well as being easier to update, they also allow you to target your content by scheduling the appropriate slides for a particular time of day. For example you can set the screen to display breakfast menus in the morning and lunch menus after 11:00 without any extra hassle. 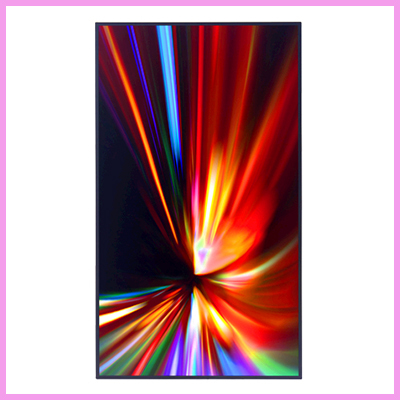 Digital Signage menu boards are also more vibrant and have more impactful colours due to the high contrast ratio of their LCD panels. 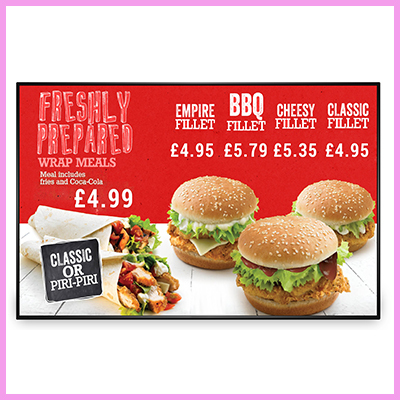 With the advantages offered by Digital Signage menu boards to food outlets and the ever decreasing costs of LCD displays it is no surprise that more fast food chains, and independent retailers, are converting from backlit to Digital Signage menu boards. 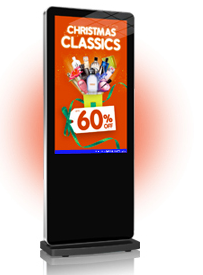 To find out more, visit our Digital Signage page.